Translators without Borders is matching European and African translators to help bring the first health knowledge platform to the Democratic Republic of Congo. Tufts University, based in Boston, has created a dynamic multimedia health knowledge management system known as TUSK. In a project funded by USAID to train university and governmental bodies on pandemic threat response, Tufts is installing TUSK at different universities throughout the developing world. 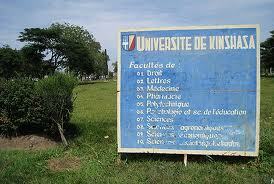 The universities of Kinshasa and Lubumbashi in the Democratic Republic of Congo (DRC) are slated to receive TUSK in 2012. The challenge is that the open source educational system is in English, while the students and faculty in the DRC speak French. Translators without Borders has accepted the challenge of translating the health knowledge platform into French – with one proviso. Rather than simply translate the interface into French, we plan to use this project as an occasion for local capacity building. Rather than deliver a French translation to Tufts University, we saw this as an opportunity to make a wider impact. By matching experienced French translators with Congolese student translators, we realized that we can ensure a high-quality translation at the same time as we foster new translators in the DRC. French volunteers from Translators without Borders, under the supervision of Suzanne Assénat, will work via the internet to verify the translations, using corrections as a ‘teachable moment’ to explain the nuances of translation to the university students, who could go on to become professional translators. The students we will work with are typically skilled at languages, but will have had little or no translation experience. One of the students is in the last year of studying English language and civilization and speaks French, English, Swahili, Kibemba and Nyanja. Another is trilingual, and was trained as a primary school teacher. Translators without Borders is planning to continue its partnership with Tufts University for the languages of Southeast Asia.